I spent the past week in Seattle visiting friends and on a whim I decided to google Seattle beekeeping before heading out for some area wine tastings. 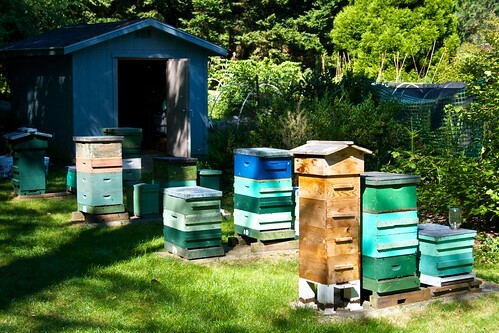 It just so happened the Puget Sound Beekeepers were meeting to inspect their hives in the Washington Park Arboretum. 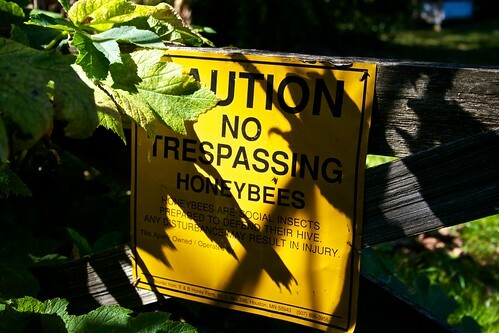 I decided to stop by and check out their apiary. 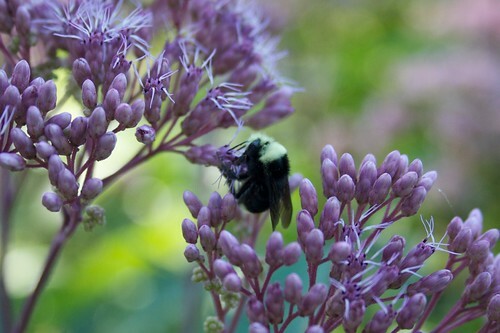 Seattle is in full bloom right now and the bees had a huge variety of flowers to visit. We also saw many more bumbles than I usually see in Austin. The beekeeper I spoke with said the maple and blackberries made up an excellent flow this year but a wetter spring prevented the bees from taking full advantage. I also noticed the bees around town seemed darker than the Italians we are used to in Texas. 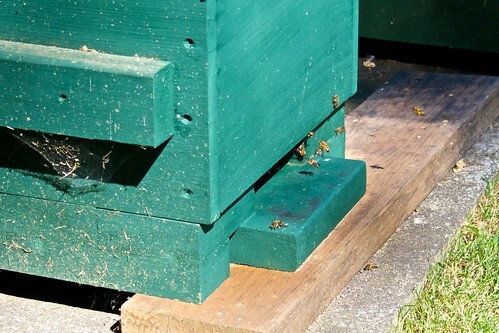 The Seattle Beekeepers confirmed they use mostly New World Carniolans. These bees are more suited to the weather in Seattle, but he did say they have a tendency to swarm more.